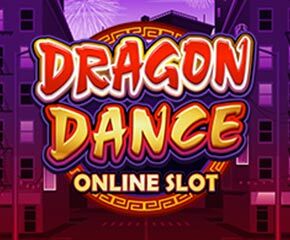 Dragon Dance is a 5 reel 243 ways to win by Microgaming. The slot features the Chinese New Year with the drummers and the Dancing dragons adding up to the excitement. The stake for the slot starts from 25p to the highest of £125 per spin. The slot takes it the theme from the popular Dragon Dance is a popular dance form in China. This slot does not give you the privilege to play on mobile or tablet, but only on the desktop. Celebrating the Chinese New Year with the explodes of gold, blue, green and purple colours with the dominating red. The slot brings the fortune and joy with lots of payouts. You will see the artists, drummers, lion costumes and the dancing dragons celebrating the Chinese New Year with you. This is not an extravagant slot in terms of theme and the visuals unlike other slot games by Microgaming. But it definitely tops up in the payouts and other wins. There are 2 main bonus features – respins and the free spins feature. First is the respin feature where at the end of the current spin, you can respin the reel to get the winning combination. There’s no limit for respins. You can apply the respin as many times as you want. But the main attraction of Dragon Dance is the free spins feature. This feature is triggered when you land 3 or more scatter symbols which are fireworks anywhere on the reels. This wins you 15 free spins also your wins get triple with the 3x multiplier. You can also retrigger the free spins feature to win 30 free spins. And every time the wins will get triple. 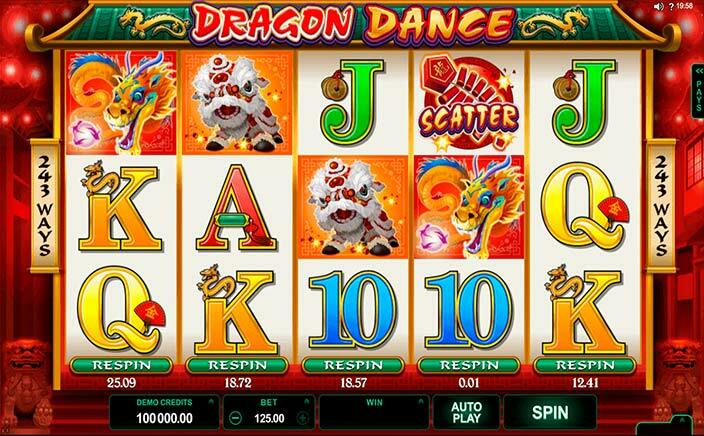 Dragon Dance slots is a fun game when it comes to the visuals and the effects. The graphics are well-crafted by giving attention to detail to bring out the essence of ancient China. You get a chance to win 160 times your stake in a base game while during free spins feature you can win up to 480 times a stake for every free spin.